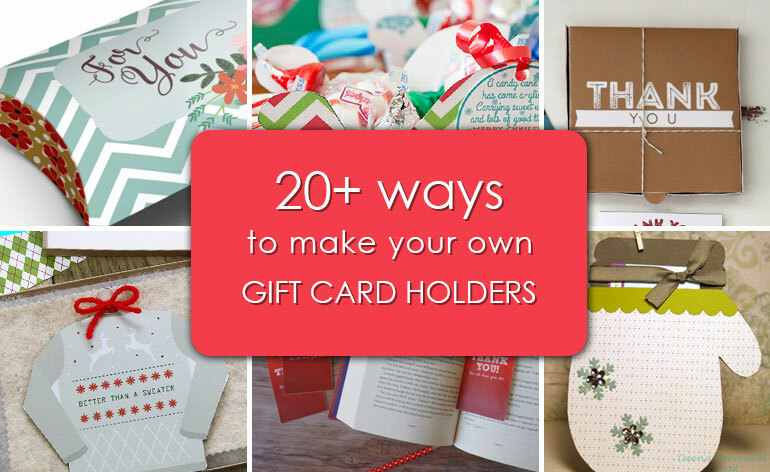 From pillow pockets to pizza boxes, here are 20 ways to make your own gift card holders. Download these printables and follow the instructions. 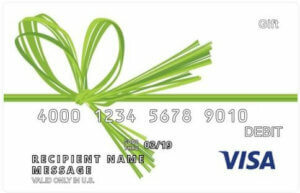 Find out about Gift Card Deals that last beyond the holidays. 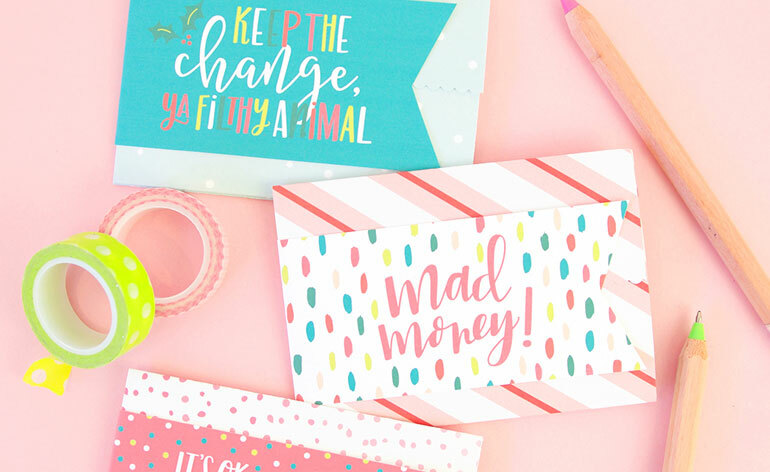 When it comes to making your own gift card holders, there are literally thousands of free printables available online. I’ve got a hundred or so on this website alone to choose from, plus many more that I’ve curated on my Pinterest boards as well. There are gift card sleeves, foldable gift card pockets, gift card pillow pockets, pizza boxes, pop-up boxes, simple envelopes and single card designs, just to name a few. When it comes to downloading and printing these gift card holders, however, I don’t think you should be limited by the graphics the designer had in mind. That’s why I suggest using the gift card holders below as templates. Simply print the shape you want, trace it onto scrapbook paper and turn any printable gift card holder into a one-of-a-kind design made by you. 1. Choose the gift card holder shape that you want to make. 2. Download the gift card holder template. 3. Print the template onto regular copy paper and cut it out. 4. Lay the copy paper onto designer cardstock paper and trace around it. 5. Cut the new gift card holder out and fold it as instructed in the original design. 6. Put the gift card inside and get ready to give it to someone. With so many gift card holder shapes to choose from and cardstock in a wide variety of designs, the number of custom gift card holders you can make is endless. So pick one of the 20+ shapes below and get started. This folded gift card pocket is the design I use the most because I like that it can be made easily, stylized with layers of paper and still hold the gift card securely. In the design below, you’ll see that I stacked a couple of pieces of decorative paper for extra dimension and cute color combinations. 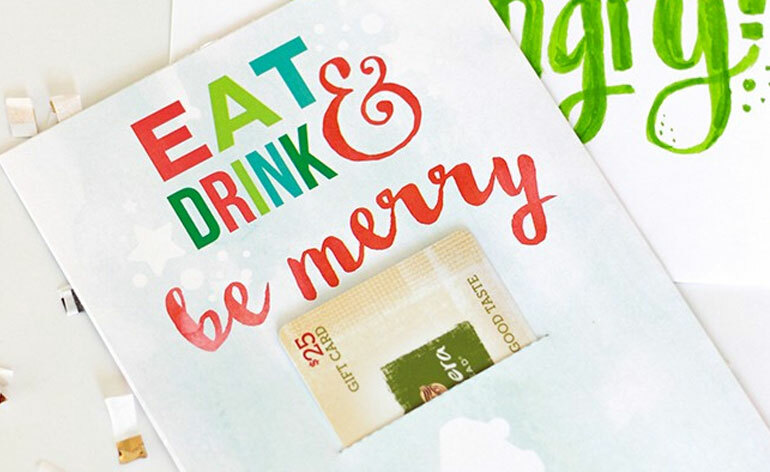 If you look at the free gift card printables page on this blog, you’ll see several examples of how I use this folded pocket design to make gift card deliveries fun and festive. Now remember, you don’t have to deliver this exact printable. 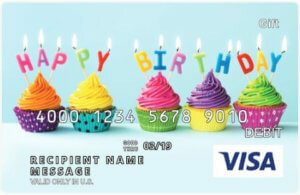 Just download it so you can get the right dimensions to make your own gift card pocket. Here’s just one example of how to make a folded gift card pocket. I love this gift card holder for bookstore gift cards such as Barnes & Noble gift cards, Half Price Books gift cards or Amazon gift cards. This is also one of those gift card holder designs that could hold a printed paper egift card. Here’s a list of printable egift cards that you can purchase online and print at home. Talk about a D-I-Y gift! All you need is a printer and a pair of scissors to deliver a totally custom gift card experience! 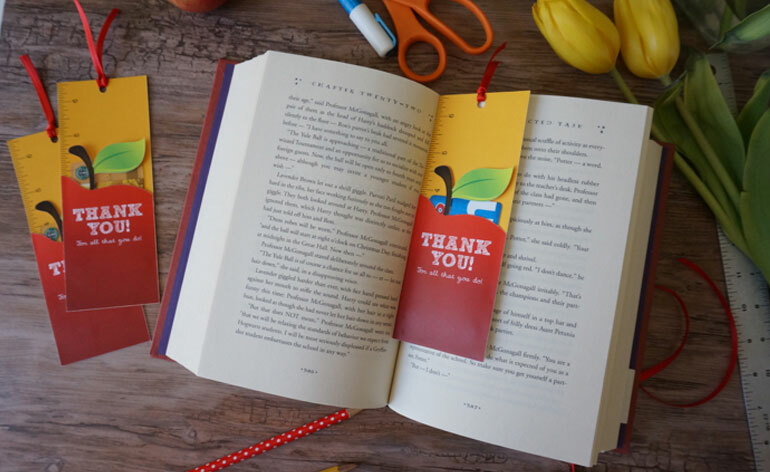 Here’s how to make a gift card bookmark. This gift card holder was designed with a foodie in mind. It’s a simple design really, just a card folded in half with a Panera gift card tucked in front. 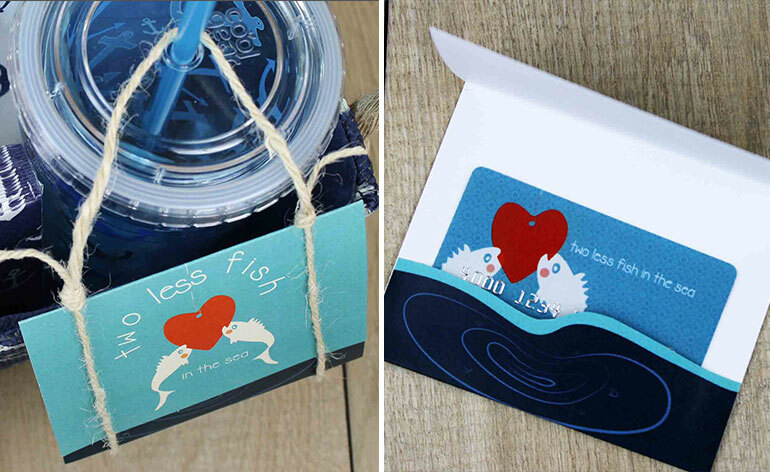 But what makes it worth downloading and printing is that Printable Crush suggests folding the card in half, making a cut to the front of the card, sealing the edges and then tucking the gift card into the slit. The gift card will fit snugly into the pocket if you do exactly as she did. I like the additional suggestion of adding confetti to the card so you get a little surprise when the gift card is removed. 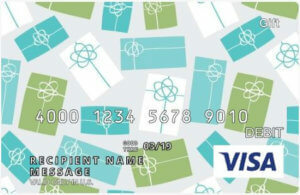 Here’s how to make the gift card front pocket design. There are two ways to make this circle flap gift card holder. The first way is to cut out four circles, fold each one in half, tape them together perfectly and then fold the tops over to create the envelope. The second way to make a circle flap envelop is to download this template, trace around the lines and cut the card out. The fold lines are obvious and you don’t have to jockey the circles around to get everything lined up. To me, the second way is much easier. I also like that there are two ways to fold a circle flap envelope. You can fold the flaps clockwise (or counter clockwise) to create a fan design or you can fold the sides in first and then fold the top and bottom flaps last for a symmetrical design. Secure the flaps with washi tape or ribbon for a festive finish. Here’s how to make the circle flap holder . This folded gift card holder starts out the same as the folded holder above, but I wanted to show it to you so you could see that you don’t have to cut the lines straight. In this example, I cut the pocket along the curves of the water on the printed design. I’ve also made similar pockets where I used decorative scissors to cut zig-zag lines, scallops and other fun edges. So when you make the pocket, don’t be afraid to get a little crazy with your cuts. Here’s how to make the freeform folded gift card holder. Speaking of crazy cuts, these gift cards holders are anything but straight-edged. 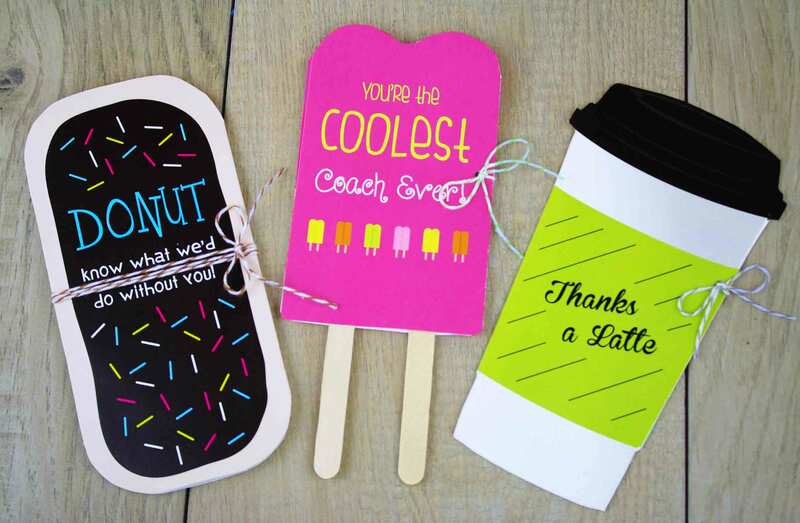 Choose from the donut design, latte shape or popsicle holder to tuck your gift card inside. These holders go perfectly with donut store gift cards, ice cream gift cards and your local coffee shop gift cards. Now remember, you don’t have to use the artwork on the holders. You can print these templates, trace around them on white cardstock paper, and then get your color markers and turn the kids loose coloring their own designs. Here’s how to make the cool shapes gift card holders. Gift card sleeves are simple to make and even easier to customize. The nice thing about this style of gift card holder is that you can cut several sleeves out of a single piece of cardstock. 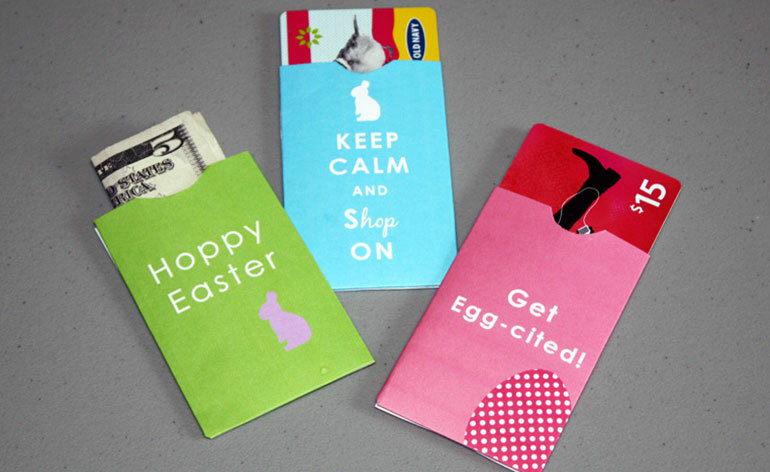 I made these gift card sleeves for my kids at Easter a few years ago and ended up saving them (along with their Easter baskets) to reuse them the following year. Now the kids look forward to finding a gift card or a $5 bill in their baskets each year. 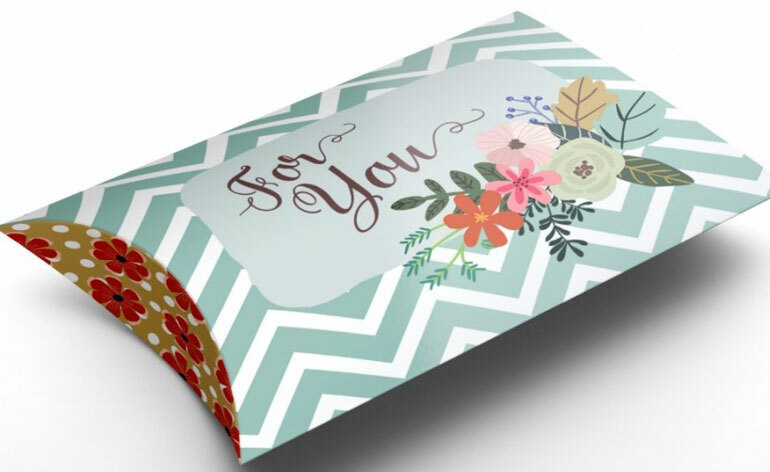 Of course, these gift card sleeves can be used all year round if you download the design and trace around it onto card stock for your upcoming occasion. Here’s how to make the gift card sleeves. Check your Best Buy Gift Card Balance. This gift card holder takes a little time to study. At first glance, it’s a simple greeting card folded in half. When you look at the instructions, however, you’ll discover some details that make the gift card holder both unique and a little trickier to make. Not too tricky, though. Basic origami skills should be all you need to get the gift card placed correctly. What I like the most about the gift card holder is the banner that goes across the folded envelope. The banner is perfect for adding coordinating paper plus a “to” and “from” label to the holder. Here’s how to make the gift card holder with banner. This gift card envelope comes with a true template that you can download and trace onto any scrapbook paper or cardstock paper you want. It’s a simple envelope design in a horizontal or landscape position. Add stamps, embellishments and other accessories to craft it up as cute as can be. 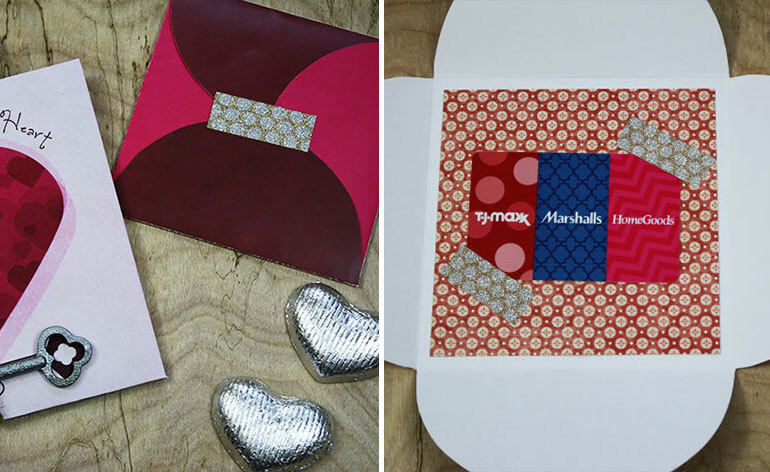 Here’s how to make the gift card envelope template. 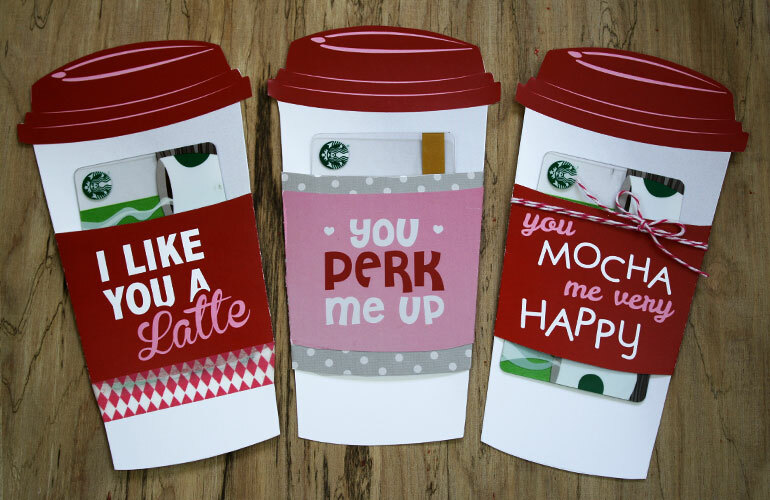 I’m sure you’ve seen many “Thanks a Latte” gift card holders on Pinterest. This one is designed a little differently than the others, however, for two reasons–the first is that the gift card is tucked into the latte sleeve (rather than hidden inside of the card) and the second is that you can print this design on a large sheet of paper. The design quality is good enough to print this template onto an 11×17 sheet of paper. There is no rule that says a gift card holder must be as small as the gift card itself. It’s about time we gave gift cards the presentation they deserve! Go big with this big gift card holder! Here’s how to make the latte gift card holder. The three little kittens who lost their mittens would be so pleased to find this gift card holder. It’s shaped like a mitten, of course. Although this gift card holder is perfect for any gift card, I’d love to see it filled with something snuggly like a gift card to an outdoor clothing store like Columbia, a toasty place like Starbucks or a ski resort. It would also be adorable with a personalized Visa® gift card with a snowy picture like the little girl pictured in this post on Visa gift cards. Here’s another idea. Use this gift card holder for a pet store gift card and write, “Just in case your kittens have lost their mittens.” Cute. Here’s how to make the gift card mittens. For crafters who have a die-cutting machine, making your own gift card holders is as easy as ordering the die and getting to work! I am including this cute gift card holder design for all you serious crafters out there who like to cut, stamp, shade and layer! You know who you are! If you want a gift card cutting template for your machine, try this one and let me know how it works. 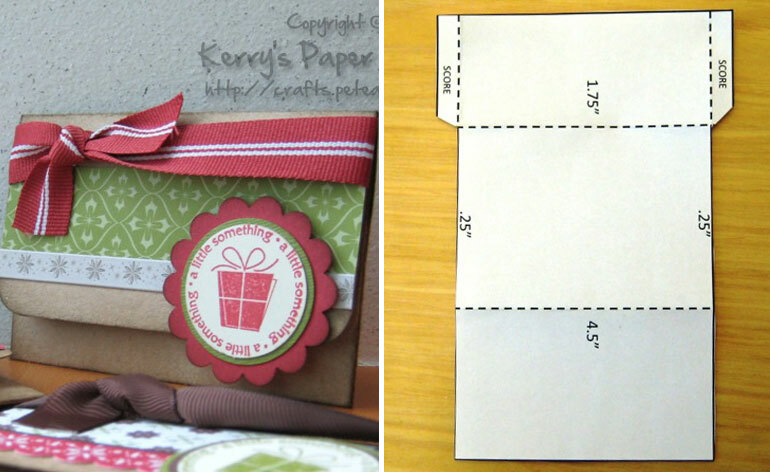 Here’s how to make the die-cut gift card holder. Have you seen the gift card pillow box made out of a smashed toilet paper roll? There are plenty of those on Pinterest, some of which are very cute. But I wanted to show you this gift card pillow box because it comes with a printable that you can download, print and trace if you want to use the design as a template. I think the only challenge in making a pillow box is getting the ends folded nicely. I’ve found that scoring cardstock before folding it always works best–even for straight folds. So get a scoring tool (or a butter knife) and press along the fold lines before folding each one. I promise it will make a big difference in how easy it is to make this gift card pillow box. Here’s how to make the gift card pillow box. 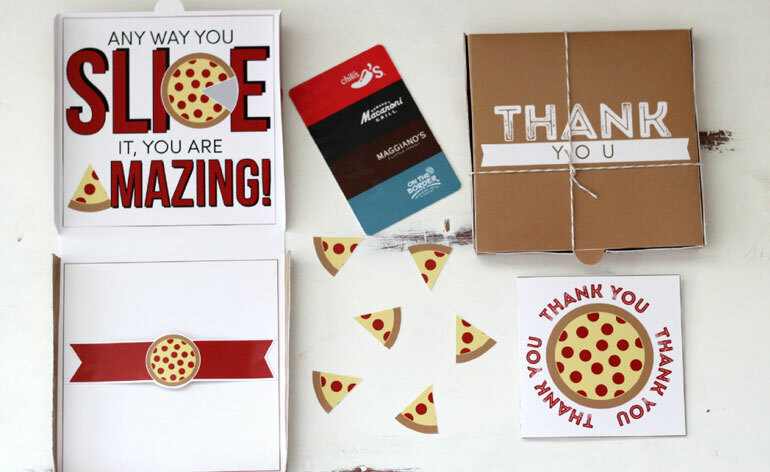 Here’s how to make the gift card pizza box. If you can master the gift card pizza box, then you have the skills needed to make this gift card pop-up box. This gift card tutorial is a little different because it doesn’t come with a printable. 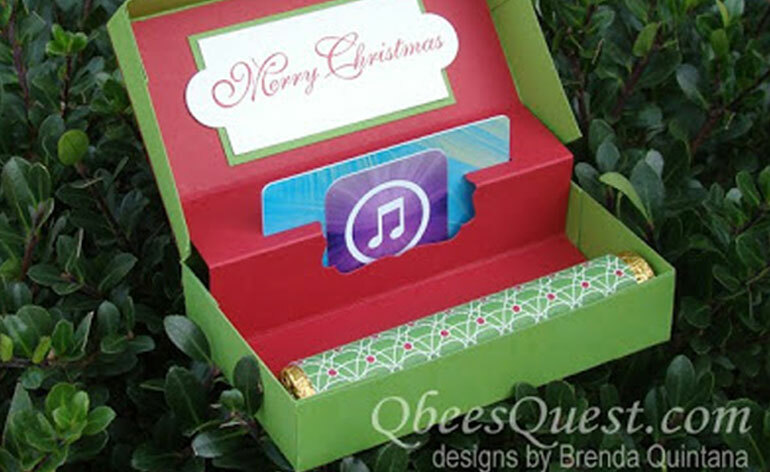 Instead, Qbee’s Quest provides all the measurements needed to turn a piece of paper into a box and a second piece of paper into the pop-up holder. A couple of tools will be helpful, of course. 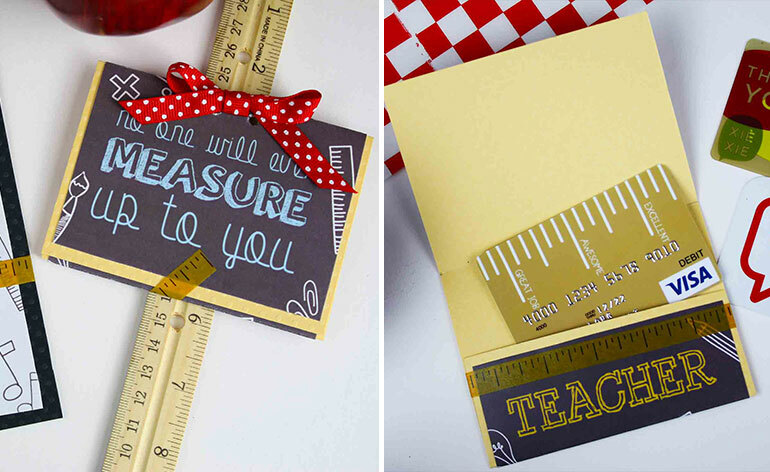 You’ll need a scoring tool, something to measure the paper with, a cutter and some glue. There is also a special punch-cut listed, but I’m pretty sure that if you get the box and insert made, you can figure out how to cut the hole in the middle using a pair of scissors. This gift card holder will definitely take a few minutes to put together, but the pop-up surprise will be worth the time spent! Here’s how to make the gift card pop-up box. If you’re into the ugly holiday sweater craze, then this is a gift card holder you will be able to appreciate. The idea is that any gift card is better than a sweater. 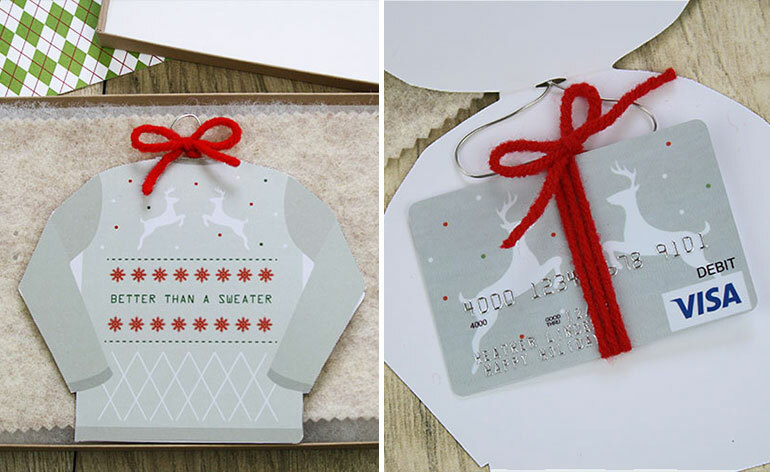 Print the gift card sweater out, cut a hole in the “neck” of the sweater and string a homemade paperclip hanger through the hole. Then tie any gift card onto the hanger. Clothing store gift cards like Kohl’s, JCPenney, Old Navy and American Eagle Outfitters are especially fitting. Here’s how to make the gift card sweater holder. Put down the scoring instruments and take a deep breath. This is the easiest of all gift card holders to make. It’s simply a flat sheet of colored cardstock paper. I layered it with other pieces of papers and added other embellishments, but what you basically start with is a rectangular sheet of paper. If you want to get the measurements exact, then download this flat gift card holder and trace around it. I think you’ll find that it is roughly a 5 x 7 piece of paper, depending on how you print it. Here’s how to make the flat gift card holder. On the opposite end of the easy-scale is this printable sleigh gift box. That’s right. It’s a gift holder shaped like Santa’s sleigh. Although it looks complicated, the instructions on this blog are super easy to follow and you get multiple templates to play around with. All you really have to do to make this sleigh gift card holder is print the template, cut it out and start to fold. 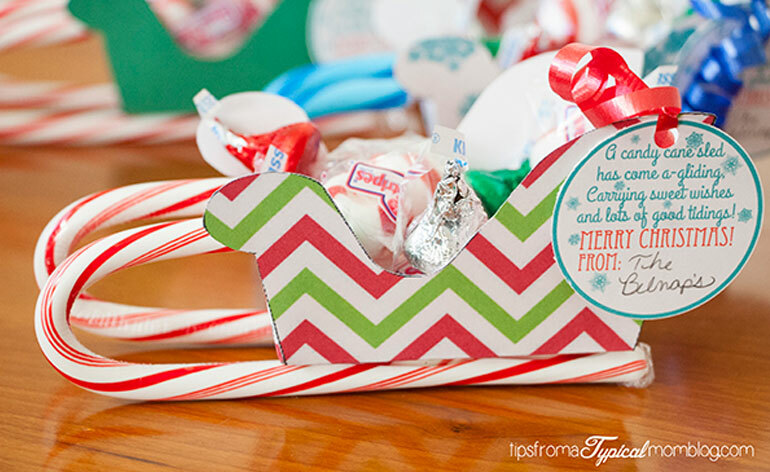 Glue the candy cane rails to the bottom of the sleigh and you’re ready to rock (around the Christmas tree). Here’s how to make the sleigh gift card holder. This “date night” ticket is one of my most popular pins on Pinterest. It’s so cute when you add a dinner and a movie gift card to it. 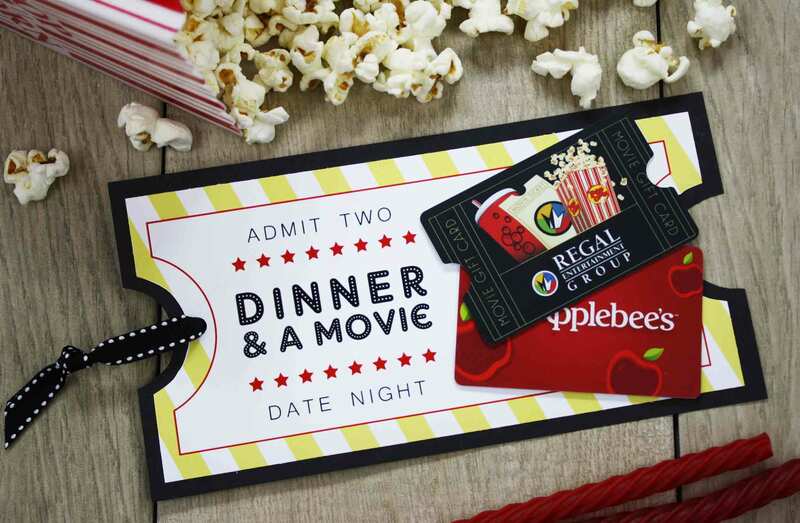 But what if you want to give a dinner and a movie gift card to someone who is not part of a couple? Then all you have to do is make your own ticket. Download the printable, trace it onto cardstock paper and add your own words. 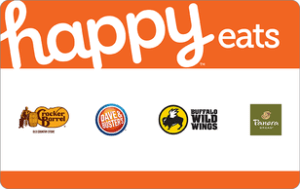 Choose a restaurant gift card and a movie gift card like AMC Theaters, Regal Cinemas or Fandango. Here’s how to make the gift card ticket. 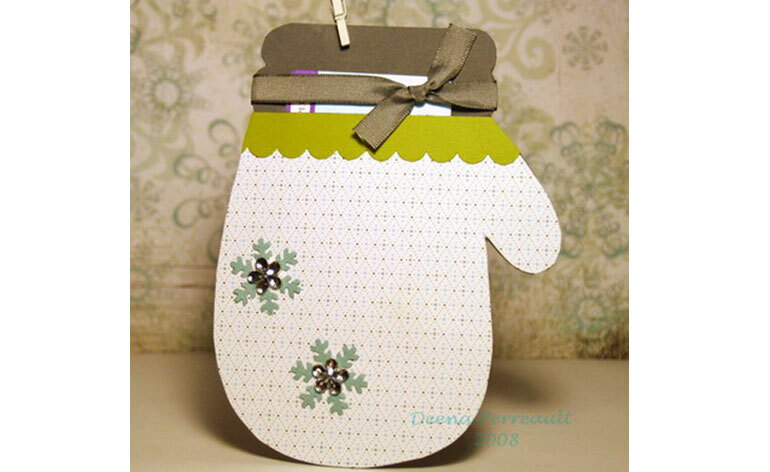 Lastly, this gift card slider is a gift card holder we created for Easter. Slip a gift card between two smaller pockets and close it up. To reveal the gift card inside, you slide the two pockets apart. 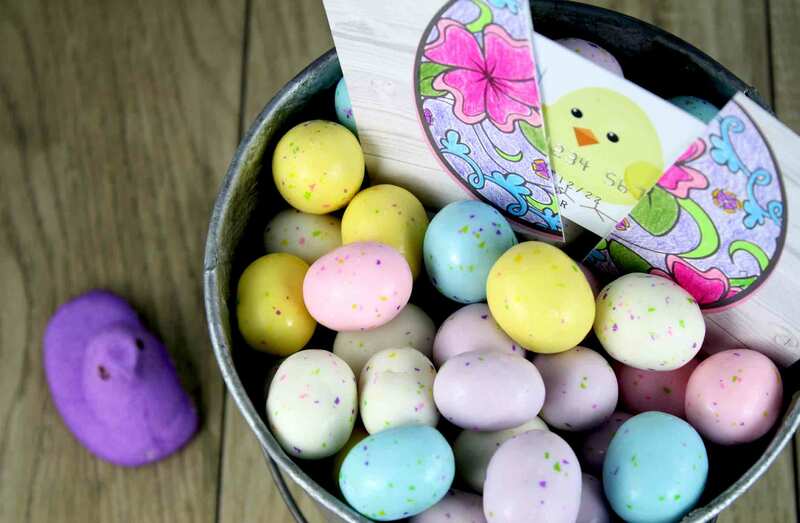 Although it has an Easter egg on the front, you can turn it into a gift card holder for any holiday if you use the free printable as a template. 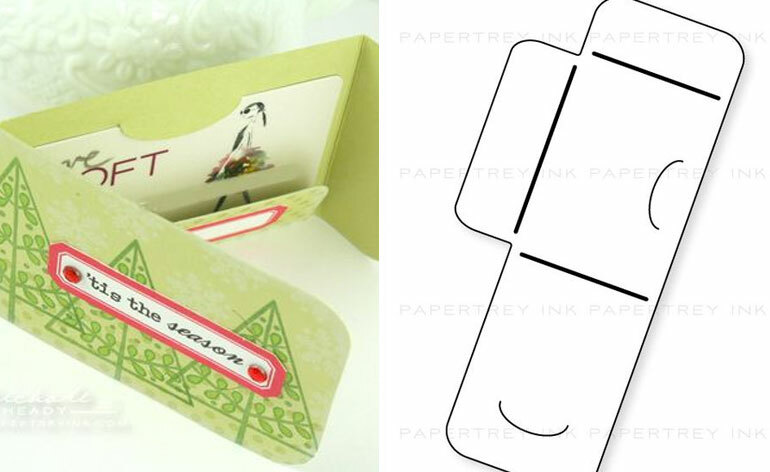 Download the holder, trace it onto holiday cardstock, cut it out, fold the pockets, glue the ends and get ready to gift! 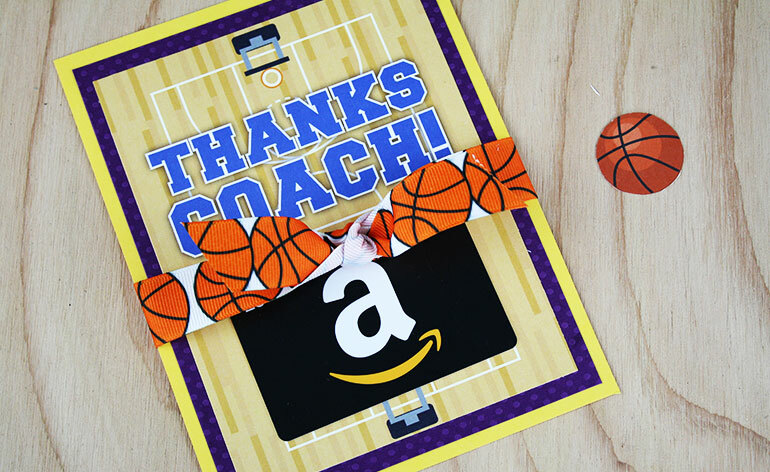 Fill it up with any gift card and tie the two sides together with a ribbon. All done! Here’s how to make the gift card slider. That wraps it up for now. I know there are other gift card holder styles out there on the Internet. Did I miss any of your favorite gift card holders? Let me know in the comments below or let’s talk gift cards on Twitter (@GCGirlfriend). If you make a comment, I promise you’ll hear from me, so don’t be shy.